This kit contains a 250ml can of MN Stain Stop, 500ml bottle of MN Power Clean and a 125ml container of MN Cream polish. 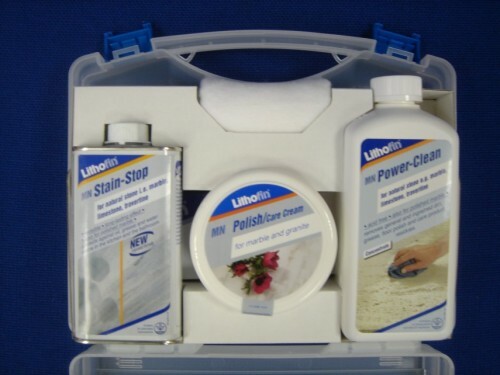 It is suitable for intial cleaning, sealing and maintenance of small worktops and vanity tops. It is presented in a strong plastic case and has full instructions. For larger areas please source the individual products from this site.